Since 1962 Irresistible Cakes has been providing brides with their dream cakes. We welcome you to visit our wedding cake gallery to see and sample our 22 flavours available. We are totally Nut, Lactose and Trans Fat FREE..” Taste The Difference” ask about our edible seating cards. And remember we are the home of Cake 911. 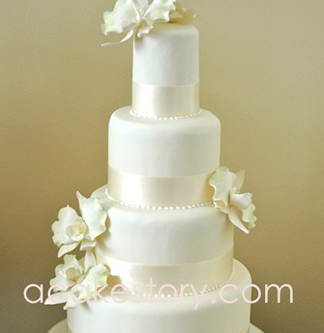 Since 2005, A Cake Story has created elegant and delectable wedding cakes in the Toronto area. Preview our portfolio or suggest a design of your own. We work with each client to create a unique and delicious work of art. Our creations are a combination of a moist cake layered with a rich buttercream and covered with a delicate fondant. Each cake is created completely from scratch. We only use the finest and freshest quality ingredients. Every cake is finished with attention to detail. The result is a wedding cake that is tasty and beautiful. 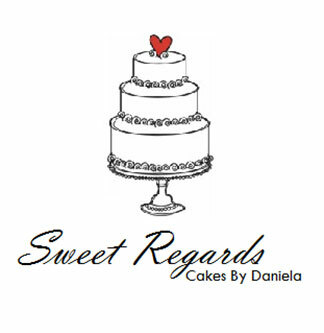 At Sweet Regards it is our goal to provide high-quality cakes and delectable sweets to all our clients. Our cakes are customized to meet the criteria of any occasion, from lavish weddings to intimate family gatherings. We strive to provide excellent customer satisfaction – we will do everything we can to exceed your expectations. Sweet Regards is a custom cake boutique that specializes in providing high-quality cakes and desserts for all occasions. Based in the heart of Woodbridge, at Sweet Regards, we are open Monday through Sunday for appointments. We strive to work one on one with each and every one of our clients to ensure we can accommodate their every need and exceed our clients expectations. From homemade marshmallows, cupcakes, mousse cups, macaroons to lavish wedding cakes, we certainly have all your sweet and dessert needs! To book a complimentary tasting or to see what our company has to offer, feel free to visit us. 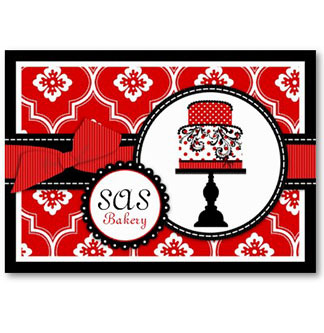 SAS BAKERY is a custom cake studio located in Southwestern Ontario (Huron County) in the quaint town of Seaforth. While we have no “physical” storefront at the moment; we are currently accepting orders for events in April 2013 and beyond. We bake for clients in the surrounding area and can deliver to much of the Hamilton, Halton, and Niagara Region as well as The Greater Toronto Area. We do not ship our cakes; so everything is hand delivered. Other services we provide are: a fully serviced New York style hot dog cart, Maple Taffy on snow, and Gourmet Chocolate Fountain rentals. Please Contact us to discuss your desired date, location and specific delivery/set up needs. My name is Cristina Maciel and I am a cake designer. I have been decorating cakes for over years and it is a passion of mine. I consider my cakes to be my ART and I treat each and every cake as it’s a masterpiece. I have had the pleasure of having one of my cakes featured in a wedding magazine, and that has been the highlight of my cake decorating career. Simply Sweet Sensations specializes in creating custom designed cakes for weddings and all special occasions. so whether it be a birthday, bachelor or bachelorette party, a graduation, or even just because Simply Sweet Sensations can design a cake to match your theme no matter what the occasion. Our cakes are not only beautiful, but deliciously moist providing nothing but flavour explosions in your mouth. All of our products are made from scratch using nothing but the finest ingredients to create your masterpiece. So, if you’re tired of those convenient but boring grocery store cakes and are looking for something to impress your family and friends, order a cake from Simply Sweet Sensations today. We guarantee your sweet tooth will thank you! We are a cake and candy store that makes custom cakes, cupcakes, etc for all occasions. We also make custom chocolates and cookies. We have a large selection of supplies for those who wish to make their own cakes and chocolates. Our Story: In 1997 Fab was first introduced to the culinary world and developed a passion for creating dishes that were both mouth watering and artistic. When the opportunity arose for Fab to work overseas, he ventured to Italy to broaden his culinary experience. Upon returning to Canada, he began creating simple cakes and soon realized that it was what he enjoyed doing most. 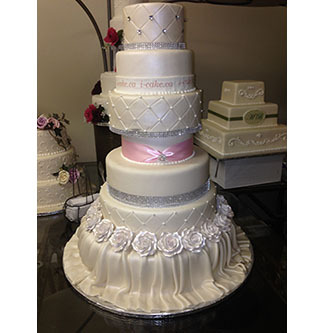 In 2005 Fabrizio opened Fabulous Cakes and Confections focusing on wedding and special occasion cakes. With each year that passes, Fabulous Cake continues to grow. The team here takes great pride in every cake that is created. They are all extremely happy to see each cake leave the studio!